The University of Reading is delighted to announce the appointment of Roger Matthews FSA to its world-renowned Department of Archaeology. Roger, who joins as Professor of Near Eastern Archaeology, worked previously at the Institute of Archaeology, University College London. Prior to that, Professor Matthews was Director of the British School of Archaeology in Iraq and then Director of the British Institute of Archaeology at Ankara in Turkey. He is currently Chairman of the British Institute for the Study of Iraq. With Dr Wendy Matthews (also at the University of Reading's Archaeology Department) he has, since 2007, led the Central Zagros Archaeological Project in Iran. The Arts and Humanities Research Council funded phase of this project, entitled 'Sedentism and resource management in the Neolithic of Western Iran' begins January 2011. During the four-year project the team, which will include four new project staff, are investigating the complex processes involved in the transition from mobile hunter-gathering to sedentary farming and animal-keeping in the Neolithic period. 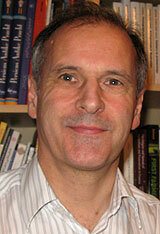 Professor Matthews said: "I am delighted to be joining such an active and exciting department. I am already familiar with much of the innovative, inter-disciplinary work that characterises the Department of Archaeology at the University of Reading, and I am very much looking forward to playing my part in its future development." The appointment of Professor Matthews represents a significant development in Near Eastern Archaeology at Reading. It builds on the continuing work of Dr Wendy Matthews and successful projects led by Professor Steven Mithen at Wadi Faynan in Jordan and the Water Life and Civilisation Project. Head of the University of Reading's Department of Archaeology Professor Martin Bell said: "Professor Matthews' appointment is a landmark in the development of the Archaeology Department at Reading, and represents a significant broadening of the international range of our activities." As well as his role as a research leader and excavator in the Near East, Professor Matthews is well known for his The Archaeology of Mesopotamia (2003); Secrets of the Dark Mound (2002); The Early Prehistory of Mesopotamia (2000); and Cities, Seals and Writings (1993), and many edited volumes and academic papers. The University of Reading's Department of Archaeology has an international reputation in research and teaching. The University was awarded the Queen's Anniversary Prize 2009 in recognition of the excellence of the archaeology department, which, uniquely within the study of archaeology, combines ground-breaking research, enterprise and teaching.